Welcome to Western Reserve Chiropractic Acupuncture and Orthopedics! We are dedicated to providing our patients with the best care in the Poland area and a wonderful experience. We support our patients through chiropractic care, acupuncture and orthopedics. We look forward to getting to know you! Hi! I am Dr. Jim Krumpak. I am pleased that you have taken the time to visit my website. Maybe you are looking for pain relief because of an acute or longstanding backache, headache or arthritic condition. Maybe you seek a natural alternative approach for some internal condition that has not responded to traditional medical care. Perhaps you are involved in sports and heard success stories about professional athletes and how chiropractic helps heal injuries and enables them to perform at a higher level. 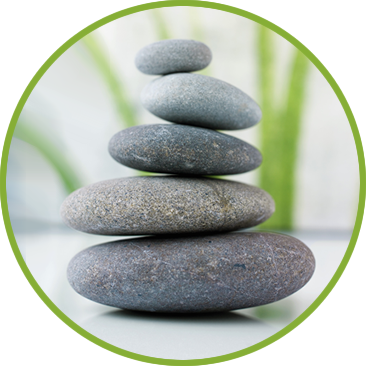 Or possibly you are interested in learning how our treatment can help you attain and maintain a higher level of wellness. Whatever it is, I hope you get to experience first hand what so many of our patients already know. Chiropractic works! We treat the infants, children, teens, adults and seniors with gentle, safe and effective chiropractic care, and we get results every day. Can we help you like we’ve helped so many other Mahoning Valley residents? Explore our website to see more about what chiropractic can offer you and what you can expect in our office. Contact our office when you’re ready. We have same day appointments. Begin your own journey to better health today. I had a wonderful experience at Western Reserve Chiropractic Acupuncture and Orthopedics! I no longer have daily headaches and my energy is much improved!